CLEVELAND—Case Western Reserve University freshman Brian Calabrese, 18, who will be the only student staying on campus this holiday weekend, is planning the saddest little Thanksgiving meal in history of the world, sources told reporters today. 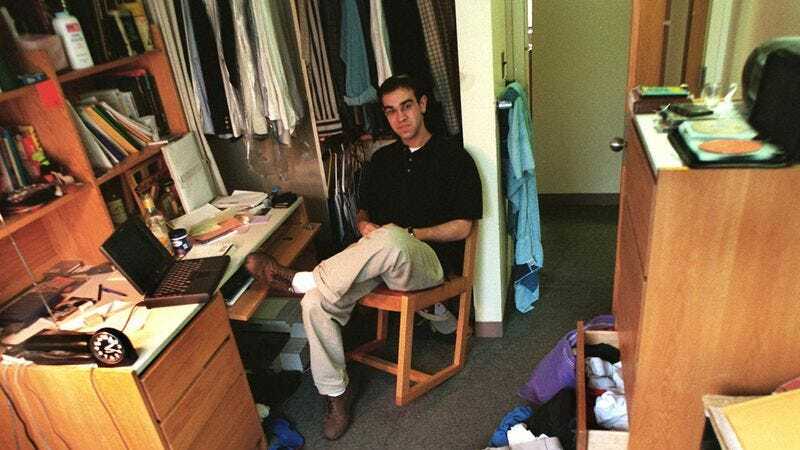 Sources said that Calabrese, whose roommate, friends, and classmates will all be spending Thanksgiving day at home with their families, reportedly plans on eating his unbelievably depressing meal on his small computer desk, and will likely spend the majority of his day either watching movies on his laptop or taking periodic walks around the deserted campus. Additionally, the freshman is expected to make a heartbreaking 15-minute phone call to his family while they are in the middle of their Thanksgiving festivities. “I’m definitely still going to have a nice little Thanksgiving,” he added of the unbearably grim little day he has planned.